Textiles Industry | Pacific Customs Brokers Inc.
Assumptions that North American made textiles are eligible for NAFTA when they are not. Understanding the importers' responsibility when NAFTA eligibility is declared by the North American shipper of goods into Canada. Being unprepared for the high duty rates on textiles imported from overseas. 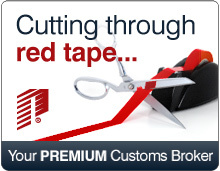 With offices in both Canada and the USA, Pacific Customs Brokers is the right choice for a customs broker when importing garments, wearing apparel, or items involving fabrics. A skilled team of Licensed Customs Brokers who are well versed in all aspects of the Textile Industry. Educational seminars and workshops directed at teaching importers customs compliance, thus reducing any penalties and fines issued by Canada Border Services Agency and U.S. Customs and Border Protection. 24/7 LIVE Reception Team available to answer your calls 24 hours, 7 days per week. ALWAYS OPEN with certified customs staff in both Canada and the U.S.A.
Freight Services to assist with planning the transportation by sea, truck or air.